Bigger is better, it's science.  Canvas Townhomes has some of the largest townhomes in all of Allendale! Not only are our apartments near GVSU huge, but we've got newly renovated townhomes ready in fall 2019! These townhomes will be remodeled from top to bottom including but not limited to new vinyl plank flooring, new stainless steel appliances, new quartz countertops, new modern kitchen cabinetry, new designer furniture package, a 50'' TV in the common area, and so much more! Whether you're looking for a GVSU apartment that is brand new or looking to save money on rent by getting the best value in Allendale we've got you covered! Check out all of the options below!